The collection includes the scores, voices and orchestrations of music pieces and song lyrics. The authors include: Tadeusz Baird, Wojciech Kilar, Waldemar Kazanecki, Krzysztof Penderecki and Adam Walaciński. The materials are available in the form of manuscripts or copies. The largest part of the collection is comprised of the materials submitted to the National Film Archive by the film producers – Film Units – in the 1970s. Many of these concern documentaries. The oldest materials come from the 1940s. 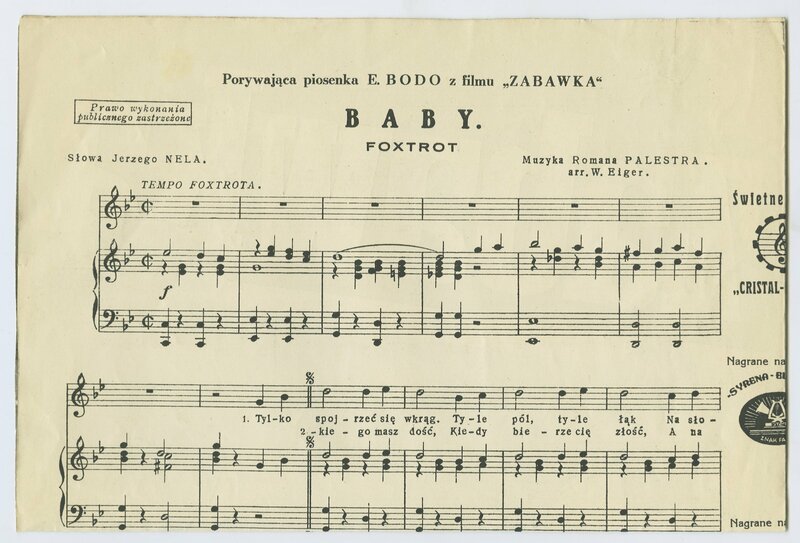 The National Film Archive has, among others, a large collection of sheet music for the film "Zakazane piosenki" [Forbidden Songs] (1946), directed by Leonard Buczkowski. Currently, materials related to film music arrive at the National Film Archive only occasionally.